Insects are the most numerous and diverse animals on the planet. But why are they so successful? And is it really true that insects might, one day, take over the world? Blowflies are nature’s recyclers. “If we didn’t have blowflies, the countryside would be knee-high in carcasses of hedgehogs that didn’t quite get across the road,” says forensic entomologist Amoret Whitaker. “If you drop dead, blowflies will find you, lay their eggs on you and start feeding on you as maggots”. Amoret Whitaker uses her knowledge of the blowfly life cycle to help police investigate murder cases. “If we can work out how old the larvae are that are feeding on the body then we can work out the minimum time that that person must have been dead,” she says. 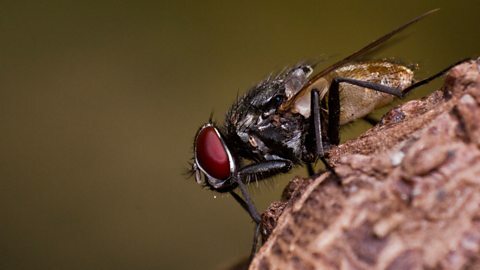 How the life cycles of blowflies help work out when someone died. The first documented case of insects being used in forensic work was following a murder committed with a rice sickle. The investigator asked all the local Chinese farmers to bring their sickles and he laid them down in the midday heat. Flies landed on one particular sickle because there were still traces of blood on it. The owner of that sickle then confessed to the murder. Fleas are not usually involved in forensics but in the first case Amoret Whitaker worked on, they proved to be vital evidence. Police believed a murder had taken place in a house where a carpet had been removed. The owners claimed they had got rid of the carpet due to a heavy infestation of fleas. Amoret decided to check the dust bag of their vacuum cleaner. She found some fleas but there was no evidence of a heavy infestation. The couple then confessed that their son had killed somebody in the house and that was why they had removed the carpet. 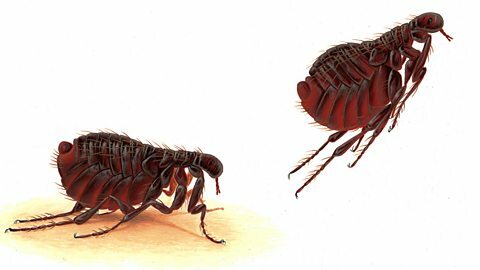 The flea is Amoret Whitaker’s favourite insect because, she says, they are “beautifully designed” for their parasitic lifestyle. “They have an exoskeleton which is very hard to crush. They are laterally compressed so they can move through the fur of their host. And they have backward pointing spines so it’s very difficult for the host to get rid of them by preening themselves,” she says. Theresa Howard and the late Dame Miriam Rothschild on the jumping ability of fleas. Insects are phenomenally successful animals. Zoologist Tim Cockerill puts it this way: “The normal way to be a complex life form in our galaxy is to be an insect”. Beetles make up roughly one quarter of all known living species on the planet. That's about 400,000 species. Tim Cockerill says metamorphosis is probably one of the reasons why insects have become so successful. The four most diverse kinds of animal on the planet – wasps, beetles, flies and moths – all do it. The most important things for a species to do in order to survive are to eat and to reproduce, Tim explains. “Within one species like a butterfly, one half of the lifecycle is perfectly designed – by natural selection – to take on as much food as possible as this expandable caterpillar which is just an eating machine. And then there’s another side of the lifecycle that is perfectly designed to reproduce – to disperse, to find a mate and to lay eggs,” he says. “Plants are as complicated as they are partly because of insects,” according to Tim Cockerill, who says that when insects first evolved, plants were more simple than they are now – a bit like mosses. Many people would agree with Prof Brian Cox who says his “favourite property of insects is that none of them is very big”! The longest insect, according to Tim Cockerill, is a stick insect from South East Asia which grows to over 1ft long. One of the heaviest insect is the Goliath beetle which would fit in the palm of your hand. But why have insects never got any bigger? Tim Cockerill says one reason is that occasionally they must shed their external skeletons to grow. At this point, he says, if they were any bigger they would collapse under their own weight! We know this because entomologists have tried putting insects into a radiation oven to see what survives! Tim Cockerill says insects are less affected by radiation because they are not replenishing their cells all the time which means the radiation doesn’t disrupt the process as much. This is because insects' brains are split between each segment of their bodies. They also don’t breathe through their mouths but through holes or tubes in the sides of their bodies. And they have different circulatory systems which means they don’t bleed out through the wound as a human would. 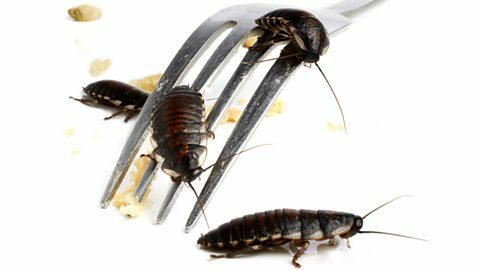 Why are we so disgusted by cockroaches? Jeff Lockwood explains the evolutionary and cultural influences on our view of insects. NB: Ticks and spiders are not insects! Like insects, ticks and spiders are arthropods (with their skeletons on the outside of their bodies) but to be an insect you must have a body in three parts (head, thorax and abdomen) and six legs. Most insects also have two pairs of wings. Sources: The Infinite Monkey Cage, Natural Histories, The Life Scientific. What is The Infinite Monkey Cage? Brian Cox and Robin Ince present the entertaining and hugely popular science show. They are joined by a variety of scientists and science enthusiasts who take to the stage to discuss everything from the glory of insects to whether free will is just an illusion. Listen: Will insects inherit the earth? Discover extra content from the infamous duo and their guests. Never miss an episode by subscribing to The Infinite Monkey Cage.